Spray on a wet car body after wash, then wipe it off (can also be used for dry body). Make your car shine and gloss like after wax usage with a simple spray and wipe. Easy to use without effort, will see instant result. With the function of a special penetrant, the dirt inside the car wash scratches is removed, the glass polymer fills the scratch, and finishes to the surface of "vine gloss". The more often you use it – the better effect you get. The smoothness of the surface of the body further increases, and it is more "Vineya" state! Ideal for coating cars to restore wax repellency and gloss. Can be used on any parts such as wheels, unpainted resin part, glass, dashboard etc. * Please do not use it where there is a fear of hindrance to driving, such as steering wheels, brakes, engine, muffler, etc. where it gets hot. 1. Wash away sand, dust and dirt. 2. Shake the bottle well and turn the nozzle tip to the "ON" position. 3. Spray on the wet car body. 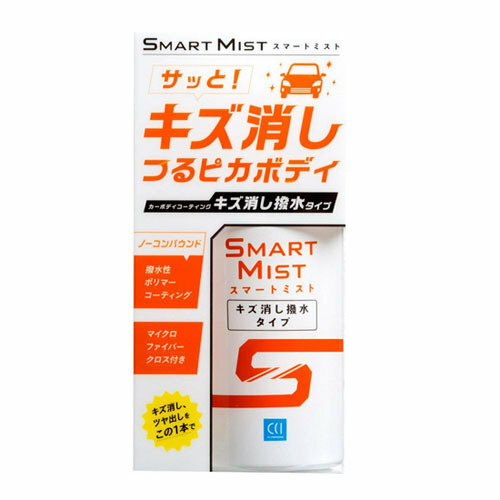 ※ Its also can be used on the dry car body. 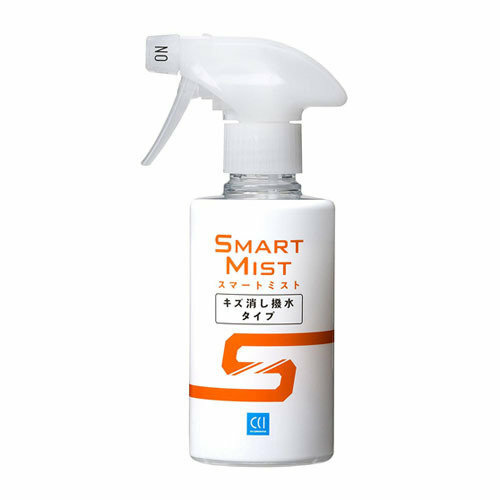 ※ Do not spray to much of the liquid to prevent unevenness spots. In the unlikely event of unevenness, wipe again with a clean wet towel. ※ Approximate usage amount is one push per door (about 80 cm square). ※Please do not spray the entire body at once, please divide parts such as bonnet, roof, side, trunk etc. ※ Do not spray directly on the spot where liquid splashing or moisture is to be sprayed, please spray on the cloth for wiping. 4. Wipe the car body up with a wiping cloth provided. ※ When unevenness occurs clean the cloth thoroughly and wipe again. ※ To use cloth again, wash it with the neutral detergent.